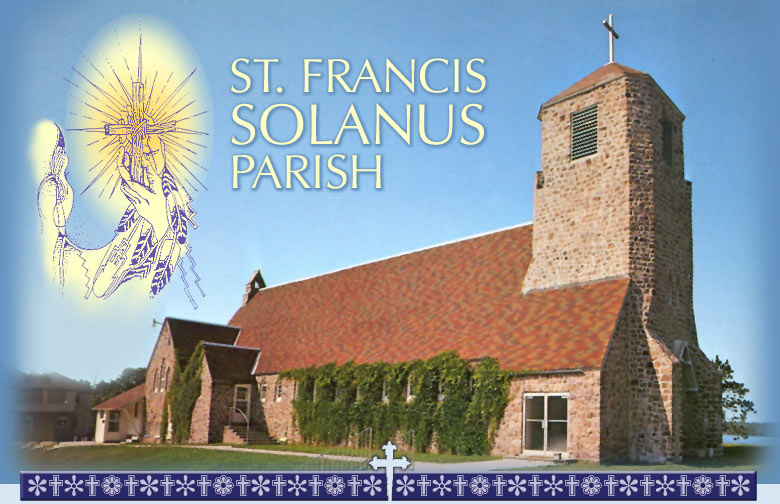 St. Francis Solanus Indian Mission : We, the People of St. Francis Solanus Parish, are a Catholic Faith Community inspired by the Gospel values of compassion and love. We strive to build a Christian community that involves all membersby committing ourselves to serve God and community through liturgical life, on-going religious formation, cultural dimensions, and service to all. 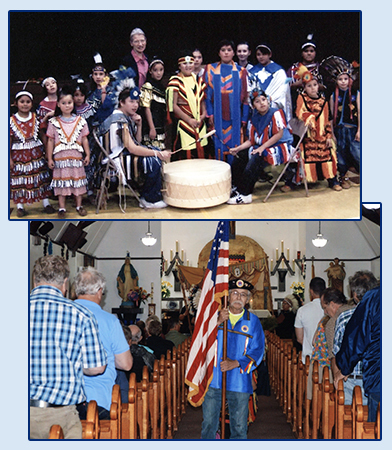 The Mission School is a Catholic School serving 50-100 students each year. It has Kindergarten and Grades 1 through 8. There are 4 teachers: 2 Sisters and 2 Lay Teachers. The School Sisters of St. Francis from Milwaukee, WI, have been working at the Mission for over 100 years. The Franciscan priests from the Sacred Heart Province in St. Louis, MO, have worked at the Mission for 90 years. 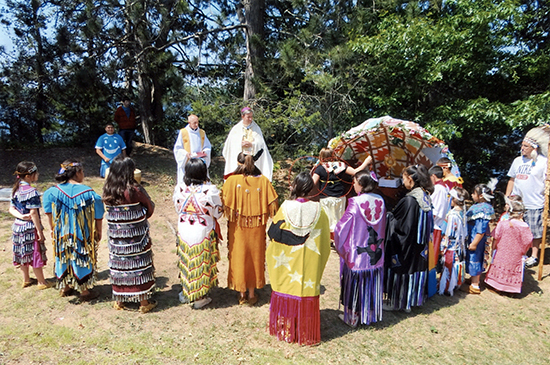 Diocesan priests began the work at the mission in 1860 until 1878, returned from 1918 to 1938, and returned again in 1988 to the present. The Mission operates a Souvenir Shop with genuine Indian handcrafts, imported souvenirs and religious articles. The Mission is open to visitors all year round. The Mission depends predominately on donations. 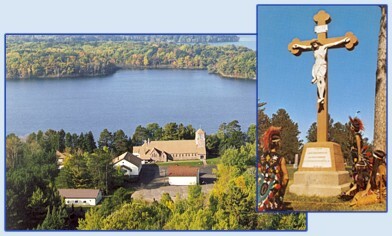 St. Francis Solanus Indian Mission is located on the Lac Courte Oreilles Indian reservation of the Village of Reserve, Wisconsin. It is on the banks of the Little Courte Oreilles Lake.